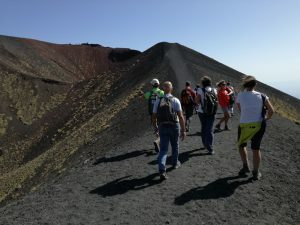 Trek to Mount Etna from its southern side, and later, visit the charming port town of Acitrezza near Catania, where you will walk along the seashore to admire the extremely interesting lava formations, created as a result of underwater volcanic eruptions, which formed the beginning of today’s Etna. 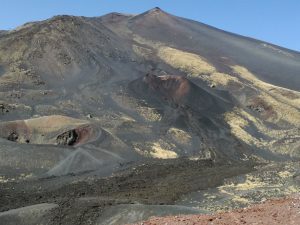 The tour starts with an easy trek to Mount Etna from its southern side. 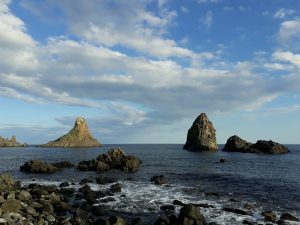 It offers you amazing views of its dead craters and the Ionian Coast, stretching from Taormina to Catania. 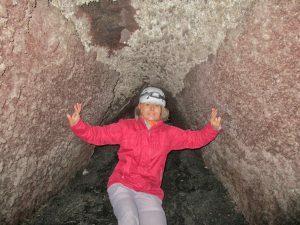 Next, you get a chance to look inside lava tubes and witness signs of many ancient and recent flows of solidified lava along the way. 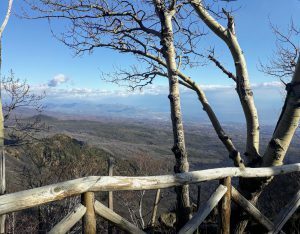 You will also stop by at some of the most breathtaking view points with the magnificent scenery. 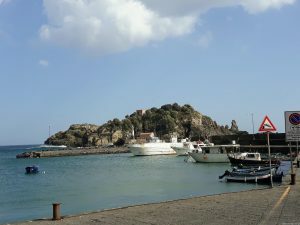 You will also have the opportunity to taste local honey, flavored olive oil, wine and other local delicacies. 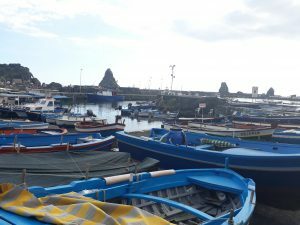 Then you will go to the charming port town of Acitrezza near Catania, where you will walk along the seashore to admire the extremely interesting lava formations, created as a result of underwater volcanic eruptions, which gave the beginning to today’s Etna. 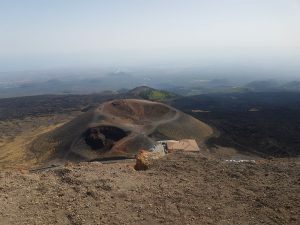 You get to know a lot of interesting facts about Mount Etna and volcanic phenomena as well as history and anecdotes referring to the territory dominated by the highest active volcano in Europe.